Laser Cutting Services for Jewelry Application. 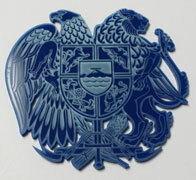 FineLaser Cut: Non-Metal Laser Cutting and Engraving Services. Laser cutting and engraving are perfect ways to easily create complex and ornate designs from acrylic, wood sheets, paper, leather, cloth, cork, foam, veneer, plexiglass, plywood, rubber, and more. Our laser equipment provides very clean cut (the laser will not burn the edges), highest engraving and cutting speeds, and laser cutting is performed with very high level of accuracy. 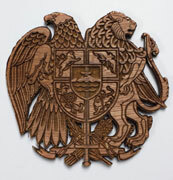 At Fine Laser Cut, we have unsurpassed expertise in laser cutting and engraving. Acrylic, wood, paper, and leather have often been the preferred option for many applications such as corporate logos, signs, product displays, scaled models, stencils, jewelry and many other applications. Preparing a computer file of your design for laser cutting and engraving. For laser marking and engraving we can work with .jpeg files, TT fonts, and vector files (.cdr, .ai, .pdf, .dxf, or .dwg). For laser cutting we can work with vector files (.cdr, .ai, .pdf, .dxf, or .dwg). If you have your design created and saved in any graphical program (Corel Draw, Illustrator, AutoCAD, etc), please e-mail it to us. If you are not able to provide a vector-format file of your parts for laser cutting (.cdr, .ai, .pdf, .dxf, or .dwg file) you can also provide us with a dimension-noted hand-drawn sketch (scan it and e-mail it or bring it to our office) and we will convert it into a computer file compatible with our laser equipment. (charge for file preparation is based on $70 per hour rate with a $15 minimum and depends on intricacy of your design).